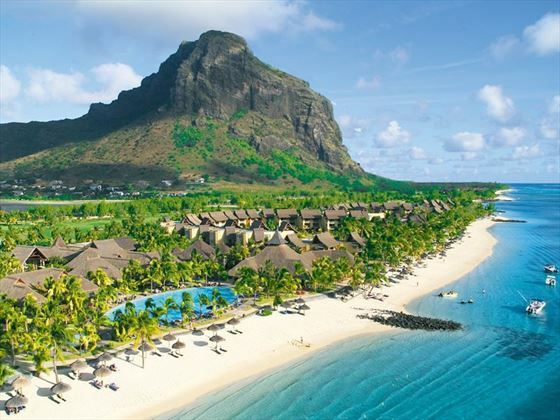 One of the finest luxury hotels in Mauritius, Paradis enjoys a superb location on the island's south-western tip. 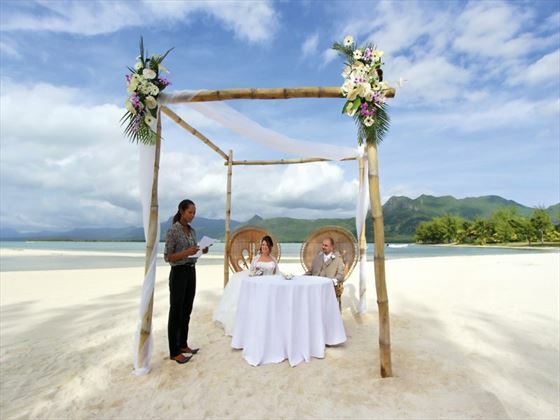 Situated on Le Morne peninsula, the resort is set against the backdrop of the iconic Le Morne mountain. 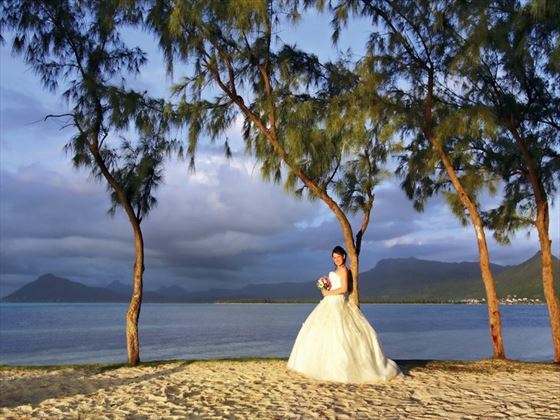 Set on the breathtaking Le Morne Peninsula with the awesome Le Morne mountain as the perfect wedding backdrop. 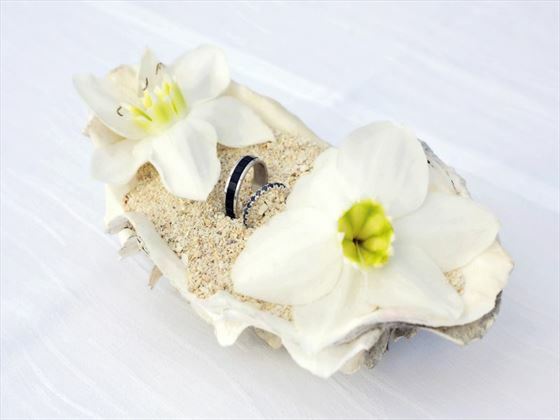 The choice of setting your ceremony in the hotels tropical gardens, on the fantastic ocean-side golf course or on the beautiful fine sand beach - enables you to be as simple or decorative as you like with the setting. The Paradis Hotel & Golf Club has stood as a purveyor of elite properties on the island for many years, offering many different accommodation options, 4 restaurants, an intimate Spa by Clarins and numerous land and water sports to keep all members of the party happy and occupied. Also having the benefits of being able to use the sister hotel Dinarobin Hotel Golf & Spa next door. 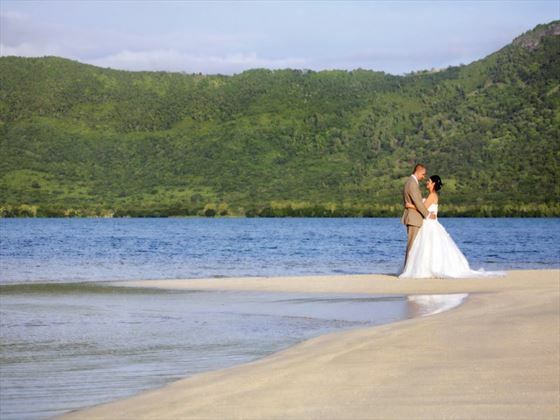 Book a wedding at Paradis by 30 April 2019 with a minimum 7 night stay and enjoy a complimentary couples massage.